A new car-sharing economy has already taken root, and it will continue to grow as self-driving vehicles come to market. According to a report today by ABI Research, 400 million people will rely on robotic car sharing by 2030. Robotic cars, like Google's in-house pod car, are completely autonomous. Google's pod car doesn't even have a steering wheel; it uses technology such as exterior cameras to see lanes and LIDAR, a type of radar, that uses lasers to illuminate objects around the car. More than 400 million people will rely on robotic car sharing by 2030. Robotic cars, like Google's in-house pod car, are completely autonomous. Google's pod car doesn't even have a steering wheel. The new car sharing economy, said Dominique Bonte, vice president at ABI Research, is a classic example of crowdsourcing, and as such is driving many Gen Y supporters. "The new car sharing economy happens in three phases: street rental service, ride sharing service, and robotic service," Bonte wrote in a statement. "The automotive industry is in the process of merging phases one and two, with robotic service to become the ultimate form of transportation for its availability, convenience and affordability." Driverless cars are disrupting the auto industry and supply chain, propelling car sharing forward as the ultimate, mainstream transportation mode. Zipcar, the world's largest car sharing and car club service, is a prime example of a street rental service. Users go to a pre-determined parking spot to unlock a shared car, ride it to their destination, and then return it for the next user. Zipcar, the world's largest car sharing and car club service, is a prime example of street rental service. Users go to a pre-determined parking spot to unlock a shared car, ride it to their destination, and then return it for the next user. 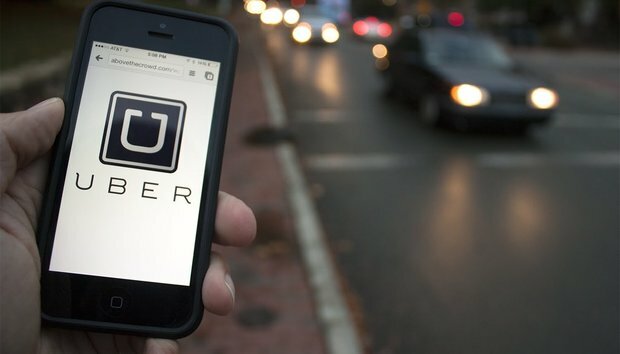 Uber is an example of a ride sharing service, through which companies hire private drivers to drive their own vehicles to transport customers. The innovative robotic service will mark the beginning of the driverless car era, in which cars can drive themselves to pick up customers. Uber CEO Travis Kalanick has already said he'll buy all the self-driving cars that all-electric carmaker Tesla can turn out. Telsa CEO Elon Musk has set his sights on putting a self-driving car on the road by 2020, but he hasn't said how many would be produced that year. Robotic car services will transform the auto industry, resulting in decreased car ownership, blurred lines between public and private transportation, enhanced social mobility, new infotainment paradigms, and an overall consolidation of the automotive industry. "Car sharing is successful because the increased efficiency through higher vehicle utilization rates drives down costs, which results in more affordable transportation," Bonte wrote. "Why go through the expense of purchasing a car, and then regular insurance and maintenance fees, when we can all embrace the new car sharing economy?"